Home // INNOVATIVE WINSTON ELECTRIC MOTORIZED MONITOR STAND. STAND UP TO WORK FIT. #WNSTE-2-270. FREE SHIPPING. 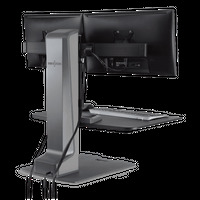 INNOVATIVE WINSTON ELECTRIC MOTORIZED MONITOR STAND. STAND UP TO WORK FIT. #WNSTE-2-270. FREE SHIPPING. 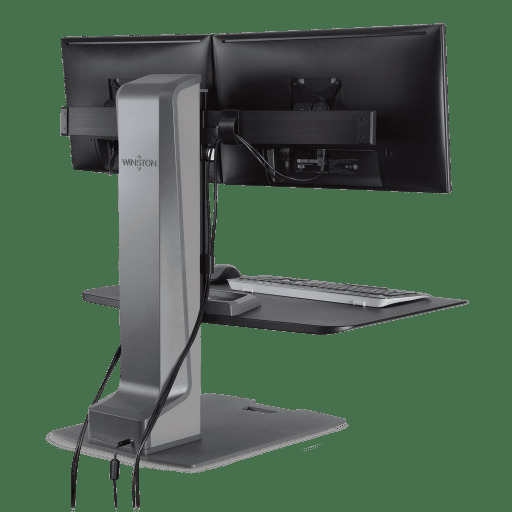 Winston Electric Sit Stand Workstation dual monitor mount. 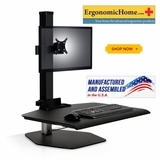 This electric monitor stand provides 18" of vertical height adjustment, effortlessly. The free-standing base sits on top any desk. No need to drill holes or clamp to the edge of desk. 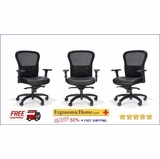 Review the images above left for more specifications. One-touch power set it and forget it. 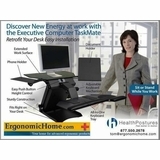 Electric power to control height adjustment with the touch of a button. Programmable control remembers your height for sit and stand. Ergonomic monitor adjustment. 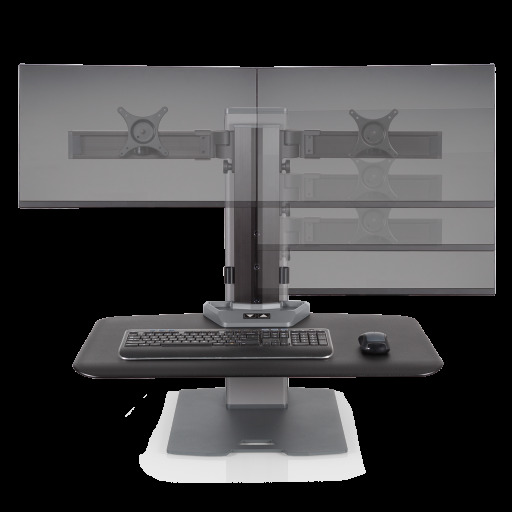 Adjust the focal depth of each monitor with independent movement lets you keep your monitors at a comfortable, ergonomic distance. 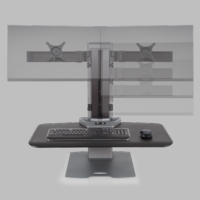 The flexible adjustment allows for easy screen sharing on shift operations. 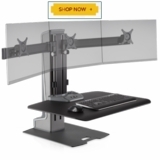 Supports up to 40 lbs accommodates most monitors up to with 30" widescreen. 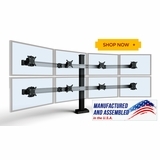 Quickly assemble and place on any desk or table. Winston-E goes from box to up and running in less than 20 minutes. No need to move or replace furniture. 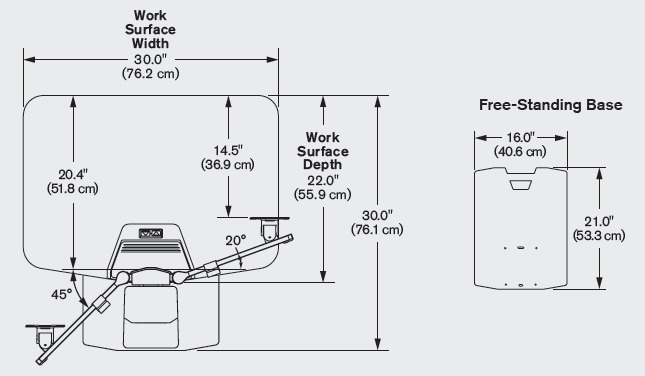 Large work surface 30" wide X 22" deep. Base dimensions 16" wide X 21" deep. See image below above left. Newly designed storage tray allows you to bring all necessities with you when standing. Winston-E Electric Sit Stand Workstation was awarded Grand Prize (1st Place) in Buildings Magazine�s 2016 Product Innovations Awards.